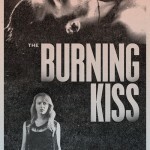 The Burning Kiss is an upcoming Australian thriller written and directed by Robbie Studsor, who previously co-wrote the thriller No Through Road. The film was shot in Perth, Australia and is also described as a cross between Claude Chabrol, Mario Bava, and Kenneth Anger. 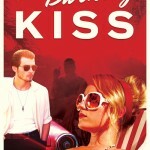 It stars Liam Graham, Alyson Walker, Richard Mellick, Christie Sistrunk, and Nina Deasley.